The Delta - v135n1 - 2018 Individual Awards Winners - Sigma Nu Fraternity, Inc.
Connor graduated from Butler University with a 3.68 GPA majoring in Pharmacy and Business Administration. He served Epsilon Mu Chapter (Butler) as Commander in 2016 and on the Fraternity’s High Council as a Collegiate Grand Councilman in 2017. Within his campus community he was the President and Vice President of the Academy of Managed Care Pharmacy, Senator for the College of Pharmacy and Health Sciences in Butler’s Student Government Association, and a student representative for the University Conduct Board. He was recognized as one of Butler University’s top 100 students. Gage graduated from Oklahoma State University with a 4.0 GPA majoring in Finance. 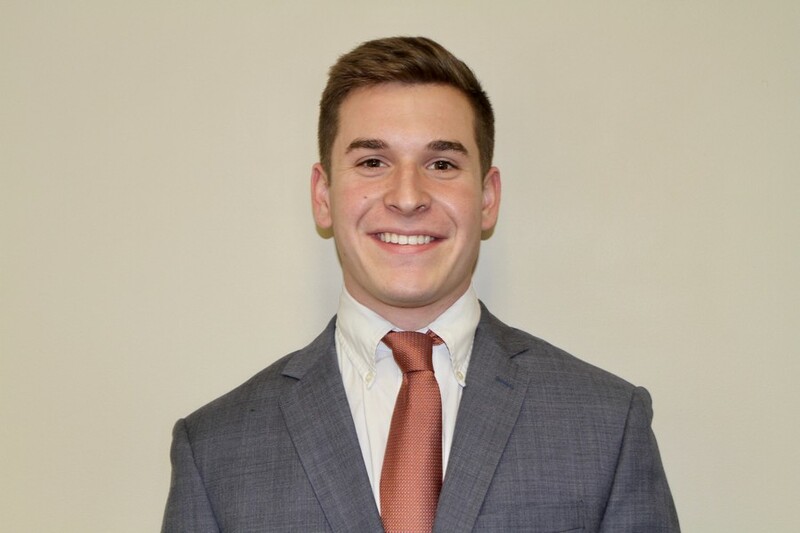 He served Epsilon Epsilon Chapter (Oklahoma State) as Philanthropy Chairman from 2016 to 2018. Within his campus community he was Vice President of Student Giving Campaigns for the OSU Student Foundation. He also served as Executive Director of Outstanding Freshmen Dinner Organization and as External Communications Chairman for the Student Government Association. In 2017, Gage was recognized as OSU’s Homecoming King. Logan Henke is a singer, composer, and multi-instrumentalist. He is a longstanding member and bass section leader for both the MSU Chorale and Montanans. 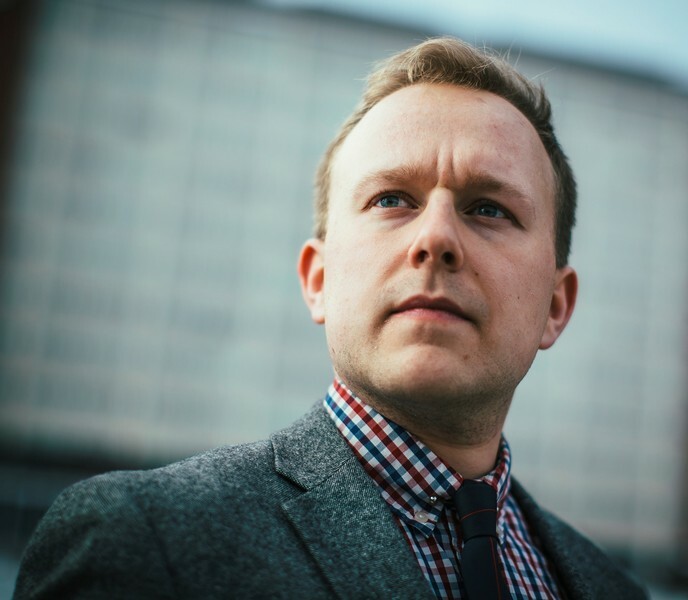 Logan served as President of the Montana State Chapter of the American Choral Directors Association and is the Choral Director for First Lutheran Church in Bozeman. Logan is also a board member and Deputy Artistic Director of a local professional choir, the Aoide Chamber Singers. Logan is also a veteran, having served in the Montana Army National Guard from 2012 to 2018. He graduated from Montana State University with a 3.67 GPA majoring in Music Education. He served Zeta Nu (Montana State) Chapter as Treasurer in 2017, Chaplain, and Scholarship Chairman in 2016. Joseph graduated from the University of Central Arkansas with a 4.0 GPA majoring in History. He served Lambda Phi Chapter (Central Arkansas) as Lt. Commander in 2016 and Recruitment Chairman in 2018. He also served as the Treasurer for Phi Alpha Theta History Honor Society. Within his campus community he served as the College of Liberal Arts representative for the Student Government Association and Team Leader for UCA’s Ambassador Program. Joseph was also recognized as UCA’s Greek Man of the Year for 2017-2018. Ryan graduated from Auburn University with a 3.75 GPA majoring in Finance. 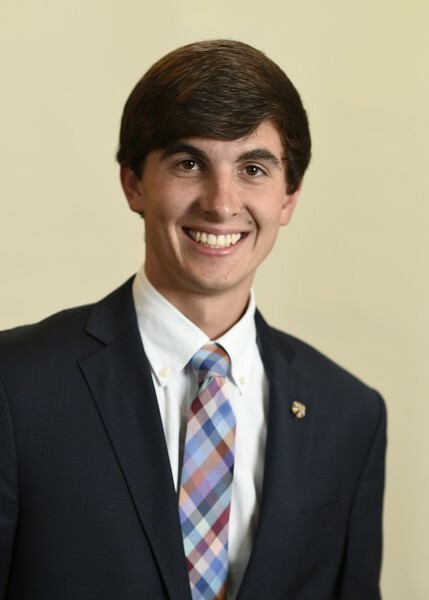 He served Beta Theta (Auburn) Chapter as Commander in 2017-2018 and on the Fraternity’s High Council as a Collegiate Grand Councilman in 2017-2018. 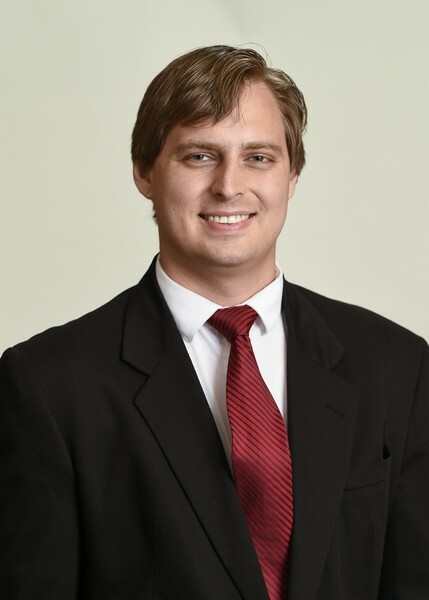 He also served as a student lobbyist for the Fraternal Government Relations Coalition in 2018. Within his campus community he was a member of Omicron Delta Kappa National Honorary Fraternity and a member of Mortar Board National Honorary Society. 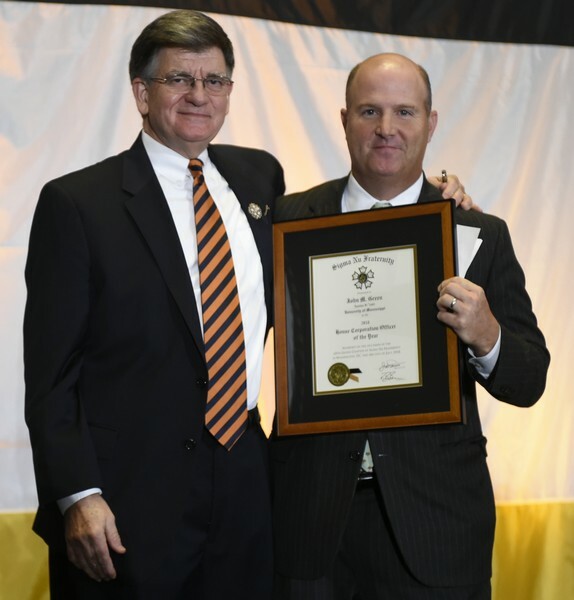 He was the recipient of the Travis L. Rabren Service Leadership Award in 2018. 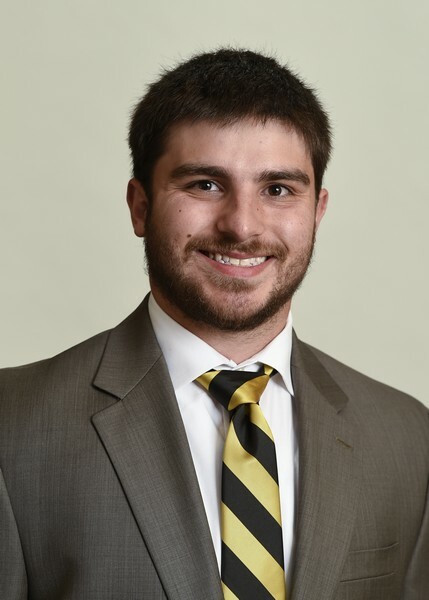 Andrew graduated from Kennesaw State University with a 3.19 GPA majoring in Industrial Engineering Technology. 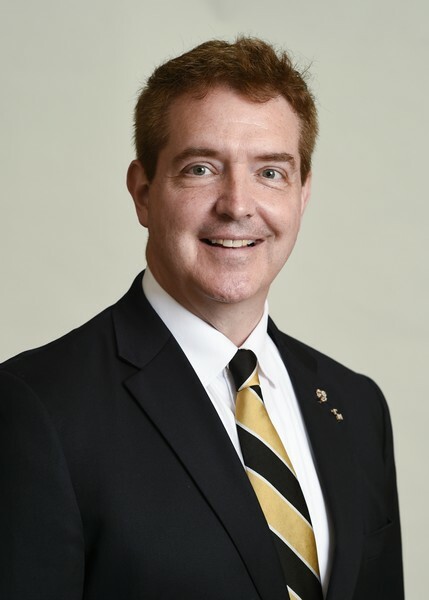 He served Iota Pi Chapter (Kennesaw State) as Commander from 2016 to 2018 and on the Fraternity’s High Council as a Collegiate Grand Councilman in 2017. He also served as Iota Pi’s Recruitment Chairman in 2015. Within his campus community he was both Secretary and President for Order of Omega and a Councilman for KSU’s Student Government Association. He was recognized as Kennesaw State University’s Fraternity Man of the Year in 2017. Drew Johnson graduated from Butler University with a 3.99 GPA majoring in Pharmacy. He served Epsilon Mu Chapter (Butler) as Lt. Commander in 2016. Within his campus community he was President for Order of Omega, a founding member of Answers for Autism, and a member of the Student Conduct Board. 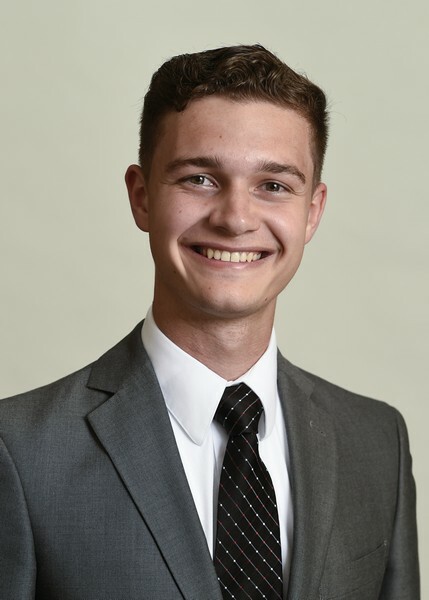 He also served as a Pharmacy Student Ambassador for the Office of Student Affairs and was recognized as Butler University’s Greek Man of the Year in 2018. Alex Kirkpatrick graduated from Oklahoma State University with a 3.95 GPA majoring in Biological Science. He served Epsilon Epsilon Chapter (Oklahoma State) as Lt. Commander in 2017, Marshal in 2016, and Philanthropy Chairman in 2016. Within his campus community he was a member of Blue Key Honor Society and Phi Kappa Phi Honors Society. Alex also served as a dental assistant for Global Medical Brigades in 2016. Tre Nelson graduated from Northwestern State University with a 3.55 GPA majoring in Liberal Arts. He served Mu Rho Chapter (Northwestern State) as Lt. Commander in 2016 and served on the Fraternity’s High Council as a Collegiate Grand Councilman in 2017. 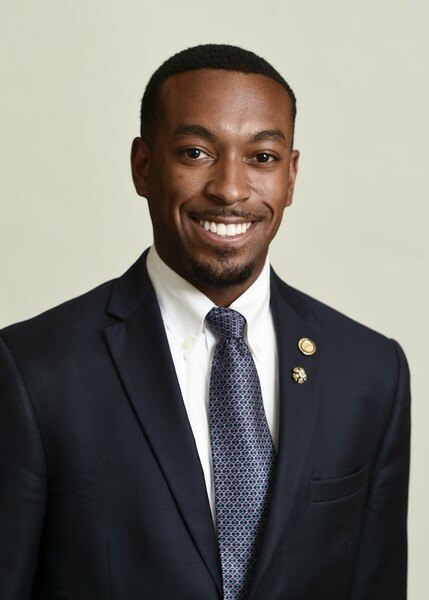 Within his campus community he served as Vice President and President for the Student Government Association, Class Officer of the Louisiana Scholars’ College Forum Council, and as a member of Order of Omega. In 2018 Tre was recognized as Mr. Northwestern State University. Benjamin Rice graduated from Louisiana Tech University with a 3.98 GPA majoring in Honors English and Spanish. He served Eta Zeta Chapter (Louisiana Tech) as Risk Reduction Chairman in 2017, Treasurer in 2016, and Recruitment Chairman in 2015. Within his campus community he served as President of the Student Government Association and President of Lambda Sigma Sophomore Honor Society. He was recognized as Louisiana Tech’s Homecoming King and Louisiana Tech’s IFC Greek Man of the Year in 2018. Luke Wiesboeck graduated from Missouri State University with a 3.40 GPA majoring in Criminology. He served Theta Sigma Chapter (Missouri State) as Commander in 2016. 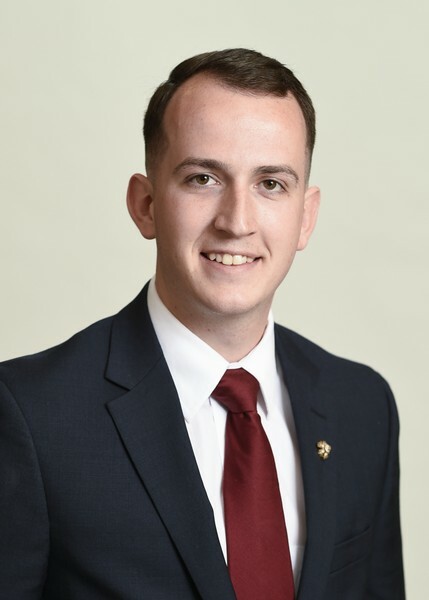 Within his campus community he served as Vice President of Administration for Missouri State’s IFC, Treasurer of the Criminal Justice Society, and Outreach Chairman for Bears for Life. In 2016 he was recognized by Missouri State’s IFC with its Outstanding Chapter President award. 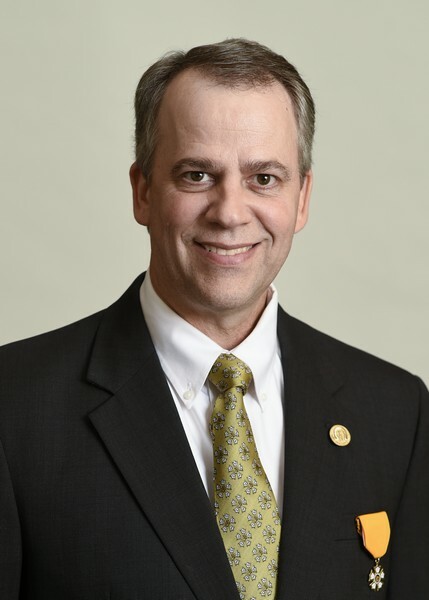 David von Nirschl has served as the Alumni Advisory Board Chairman and Chapter Advisor for the Gamma Mu Chapter at the University of Illinois since 2010. Since taking on these roles he has developed an Alumni Advisory Board, created a Pursuit of Excellence Scholarship for graduating high school seniors, and inspired the Gamma Mu Chapter (Illinois) to its first Rock Chapter award in 2016 and its sustained excellence this biennium. Despite residing in Washington, D.C., David continues to make regular trips to Gamma Mu and has donated significant time and resources to the preservation of the chapter’s historic home. 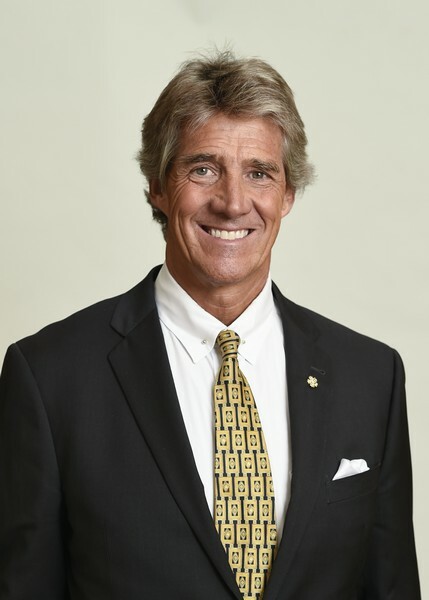 Chris Graham has never ceased in his tireless devotion to Sigma Nu and his commitment in serving in key volunteer roles for the Fraternity has shined for nearly three decades. His dedication to Love, Truth, and Honor is more than exemplified through his actions as he continues to lead the young men of the Fraternity to excellence. In August of 2017, Chris went above and beyond the call of duty as he began making personal phone calls and sending texts and email messages to chapter leaders to inquire about the health and safety of their members throughout Hurricane Harvey despite being impacted by the rains and flooding himself. In addition to his duties as Division Commander, Chris has been a faithful volunteer for the Fraternity for 29 years, serving as Chapter Advisor, Worthy Commander, and House Corporation President to his home chapter, the Zeta Psi Chapter at Lamar University. Michael has served Gamma Kappa Chapter (Colorado) in numerous capacities dating back to two-terms as Commander of the chapter as a collegian. His volunteer service includes over 20 years as House Corporation President, four years as Alumni Advisory Board Chairman, and as a leader in the Alumni Chapter since 2016. 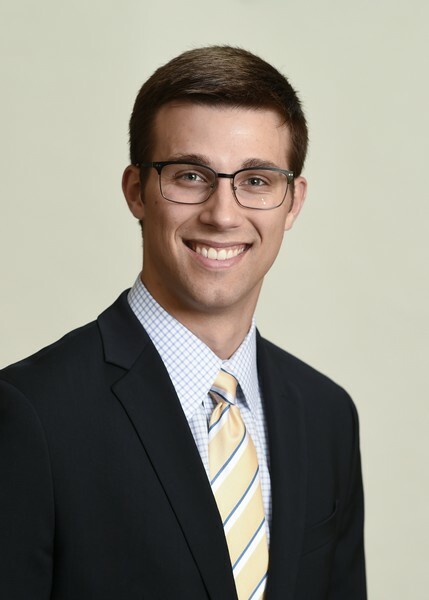 In his role as Alumni Chapter Officer he’s helped to recruit younger alumni to serve as board members, planned annual events reconnecting alumni to the chapter, and created an alumni mentor program for collegiate members. Michael was instrumental in the formation of the CU Interfraternity Council in 2005 as a self-governing organization that interacts with the university. Over the past 12 years the IFC has grown from 600 to over 1,600 members. 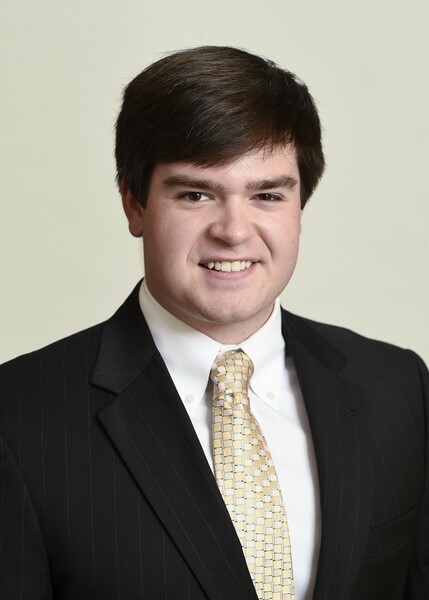 John has served on the House Corporation for the Epsilon Xi Chapter at Ole Miss since 2009, serving as its President since 2014. He has remained active as an alumnus for nearly 30 years – each year taking the time to get to know each of the chapter’s 275 collegiate members. He regularly goes above and beyond as a House Corporation President. 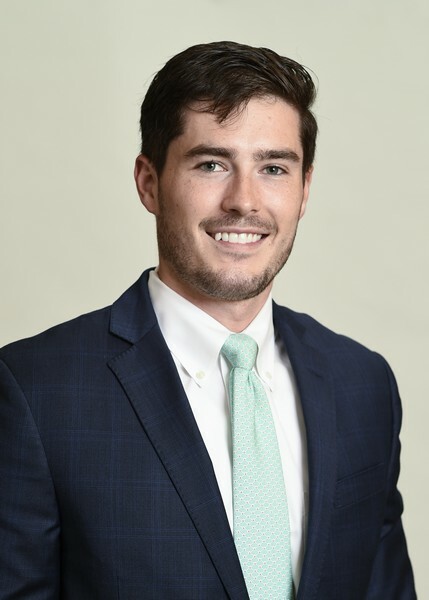 John has written countless recommendation letters, assisting many collegians with being admitted into medical schools, law schools, accounting firms, and other desirable post-graduation positions. He has also utilized personal resources and relationships to guarantee members’ post-graduation plans are achieved.